Being creatively fulfilled, healthy, learning languages, and sorting my career out is what I want most (along with maintaining and/or strengthening healthy relationships with the people I care about). 2015 Began with plenty of hope, but kind of fizzled out. And so unlike this time last year, I feel rather down about my chances of achieving my Resolutions for 2016. But I’ve got to give it a go. So without further ado, I present BRYAN PARRY’S 2016 NEW YEAR’S RESOLUTIONS. Do something, at least half an hour, from each [CATEGORY] on this list, every day. [LANG] 30′ minimum every day each for Swedish and Spanish using Memrise and Duolingo. [LANG] Work towards B1 level in Spanish and aim to sign up for a course in the last quarter of 2016. [LANG] Do an A2 Swedex. [LANG] Complete Duff’s The Elements of New Testament Greek, and then Taylor GCSE 1, again. One chapter a fortnight. Upon completion, look into doing GCSEs in Ancient Greek again. [ART] Continue updating The Doggerelizer weekly, Wrixlings monthly, start updating YouTube twice monthly. [ART] Do one cartoon per six weeks; begin to upload them and/or other artwork online. [ART] Get the first draft of Part II of a book I’m writing, code name 21CLF, finished in a “polished draft”. [ART] Get the first draft of Part III of “21CLF” finished. [ART] Get one feature length script up to 2nd/3rd draft stage. [ART] Send off the pilot of one of my sitcom series ideas to a producer. [ART] Over the course of a year, do an average of one 30′ sitcom script per six weeks — total redrafts of scripts are counted towards this goal. [LIFE] My weight has ballooned again: cut myself down to a healthy BMI & weight (around 13st; a pound loss a week for 52 weeks) and stay there through healthy changes of diet and exercise regime, specifically, a minimum of three days going to the gym, daily use of the work gym for 30′ intense sessions, and less snacks. [LIFE] Pass my driving theory test and begin lessons. [LIFE] Get out and stay out of my overdraft. [WORK] Sit and pass the International Phonetics Association exam. [WORK] Research and apply to do an MA/MPhil in an area of Linguistics. [WORK] Begin a DELTA to improve my ESOL career. [WORK] Do the first two editing courses, set up as an official business, network and set up online media relating to the business. [WORK] Get a better paid job. [GEN] Finish reading the Koran. Yeah, typical yo-yo dieting. Again. I’m 16st 3lb (227lb). What the hell?? Think I’ll have to start convincing myself that these biccies don’t count ‘cos I will have used the treadmill for thirty minutes again… in January 2016… Till then I’ll just enjoy the guilt-free gluttony of Yule because I know I’ll soon be in the gym. First week of January. I mean, give it a week to recover from New Year, of course… then another to get back in the swing of things… Let’s call it mid-to-late January. Groundhog Day is one of my favourite Christmas films. 2016’s weight goal: I give myself 52 weeks to shed around 45 pounds. And then maybe 52 years to keep it off. A healthy weight loss is 1-2lbs a week. So I can do it. By the way: What’s the difference between a BELUGA WHALE (left) and BRYAN PARRY? Answer: At least a BELUGA WHALE is graceful in water. Christmas, Xmas, Noel, Yule. So many names. But why? Christmas: Christ-mass. That one’s simple enough. “X” is the first letter of the word Christ in Greek (Χριστος), hence Xmas. Noel comes from French, and ultimately the Latin, for “birth” [that is, of Jesus]. Yule, on the other hand, was originally the name for a heathen feast of around the same period in Northern Europe. Yule is therefore the homeborn English word. But what is the true meaning of Christmas? Father Christmas, gifts, and feasting? Family, charity, peace on Earth? The baby Jesus? As a non-Christian, I like to use Yule to consciously stand for the cultural, as opposed to religious, celebration. Why? Because “Christmas” is and always has been about more than just Christianity. The Church, in a rather savvy move, would often recast local heathen festivals in a Christian mould. And the winter festivities were no different. Therefore, the Christian aspect is but one part of the Christmas period. So why should I tacitly let Christians take the Christmas period as their own, let them dictate to me and the rest of society how, when, and why I should celebrate the period? Christmas is as much mine as it is a Christian’s. Eventually the word Yule fell out of use, except in some dialects, and was brought back to mainstream life in the nineteenth century. Therefore Christians can keep the word Christmas if they like; the rest of us have Yule. I don’t celebrate Christmas. I celebrate Yule. Happy Yule, everybody! article adapted from my article Yule and the Months posted at my blog Wrixlings. In my last Fatty Parry 8: Detox I, I designed a new diet. Gotta say, I think the diet is pretty good. The only change I made, after Day One, was to add a small side of brown rice to my lunch. Perfect! Yeah, sorry(!) I’ve been moving house this week. That’s meant my diet has been all over the place: hummus and pitta at 11pm, anyone? But I’ll keep going with this diet, hopefully with a bit more consistency after I’ve finished moving in, and give you an update on how it’s making me feel in around six weeks’ time. Click here for my other diet posts. In Rugby they have this great thing called the “sin bin”. If you get a yellow card, you are sent off for ten minutes. I think this must be introduced into association football. ASAP. First, there’s too much nonsense in football nowadays. Players just gob off to the ref and act like proper plonkers on a minutely basis. 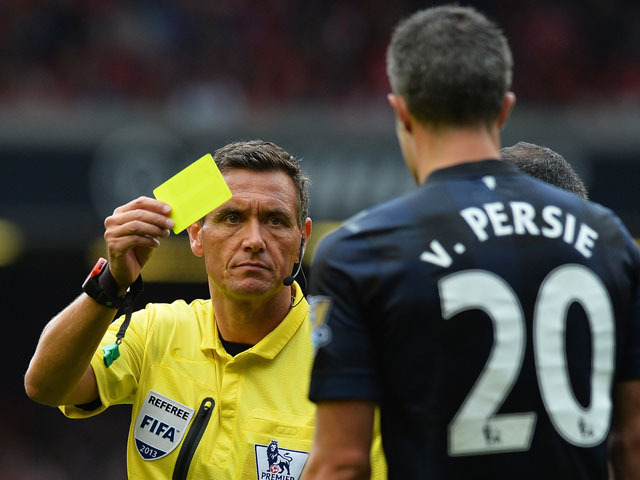 The Laws of the Game give referees the power to give out yellow and/or red cards for unsporting behaviour or dissent. But refs seldom do. But second, even if refs did book every wally, like, whatevz. A yellow card does nothing. What’s that gonna discourage? Send those players off for ten or fifteen minutes, on the other hand… Might learn ’em good. Might straighten out football a bit. It’s thoroughly December. So with a matter of weeks left of 2015, I’m going to review / update my 2015 New Year’s Resolutions. Warning: this post is more for my benefit than for you guys. IF YOU WANT TO SKIP THE SELF-INDULGENT WAFFLE AND REFLECTION AND HEAD STRAIGHT FOR MY MAIN CONCLUSIONS, CLICK HERE. FAILING. Stopped Memrise, CatSpanish, and since my Summer holidays, I aven’t picked up Duolingo at all. Till June, I was succeeding 100%; since July, failing 100%. Very disappointing. FAILING. But I am trying. I am consistently working on and thinking about cartoons, but it is genuinely more like one per six months. Need to be more consistent! FAILED. Started well. But got side-tracked a few months ago (Summer holidays again! ), so close to the finishing line. I need to set aside like a full day soon and just go for it! FAILED. Nowhere near. This is dependent on getting Goal 7 done first (see previous note). FAILED. Have not gone back to redraft an episode, so clearly haven’t sent one off. FAILED. I got my weight down a little, then it shot up, then it went down a bit again, and now it’s right back up again… It’s around 16st 3lbs / 227lbs now. Pathetic. Being a healthy weight is a simple as not eating too much crap and exercising regularly. SUCCEEDED!! My proudest achievement this year, I’ve gotta say. The only thing I desperately wanted to do which I’ve done in 2015. FAILED/N.A. Savings are highly variable. Plus, I’ve re-evaluated my financial plan so this may no longer be relevant. Unsure. FAILED. Haven’t even begun revising. FAILED. See Goal 14’s Progress for in depth coverage. FAILED. No money, no time, not emotionally ready. FAILED. But not for lack of trying. No money, no time are the main problems here. FAILED. I’m earning more dough through various avenues, but I haven’t yet found the standard higher paid job. FAILING. I’m reading it, but I’m behind my schedule. So, that’s ONE SUCCEEDED out of 22, the rest have FAILED already or are FAILING fast… not a fantastic hit rate, I’ve got to say. I had a very busy Summer with several holidays — mostly friends’ weddings. Kind of derailed me a bit. 2015 can be characterised thus. Great first quarter, followed by stagnation in Q2, then total chaos and shambling along in Q3 and 4. The things most important to me — getting a better paid and more fulfilling job / furthering my career, learning languages, and creative / artistic endeavours — have all fallen on their arse. But I think this looking over my goals is the shot in the bum I need! I think the key to my failures in 2015 has been, as usual, LACK OF CONSISTENCY. I’ve done a lot this year, a lot of good stuff. But I’ve not managed to be consistent. I’ve had strong bursts and relapses. It’s been stop-start. Yet most successful endeavours in life require non-stop toil for an indefinite / never-ending period. For 2016, I think I need to focus on how to maintain consistency especially in my routine. Whenever I have had successful periods in my life, it has been down to a consistent routine religiously followed (and sleep deprivation!). Filing my goals away in nice folders maybe hasn’t kept me on my toes enough. I should print out copies of my goals, keep them in my wallet, and look at them daily; as the lists get crumpled and decay by overuse, this will stand as a reminder and prompt to make sure my dreams aren’t also decaying. Right now I know I’m not doing everything I can to succeed. I’m missing one key element at least: consistency. Let’s see if I can get a grip here and start 2016 the way I mean to carry on.